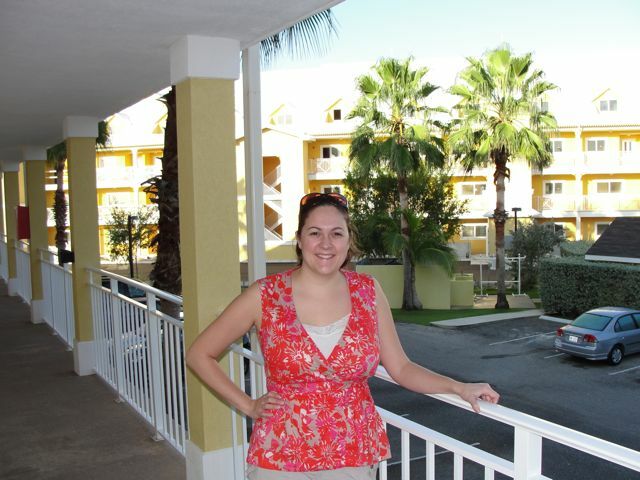 Yesterday, we returned from our vacation in the Cayman Islands. My hope is that, every few days, I will post about each big event that happened during our trip. Here we go! We used our frequent flier miles to book travel from O'Hare to Grand Cayman. The journey involved two intermediate stops -- one in Nashville, and one in Miami. The first flight went perfectly. The second flight made us a bit anxious, as we had to wait on a somewhat hot and stuffy plane for several minutes while they got a ramp in place. Then we had to board a bus to the terminal. As if that wasn't enough, we had to board a tram-type vehicle to go to another concourse to catch our flight to Grand Cayman. Boarding had just started when we arrived. Whew! Our third flight had no problems at all. Yay! We made it! We boarded a bus to our hotel (Sunshine Suites Resort). Check-in was quick and easy. We got a GREAT deal on our hotel. For four nights, we paid $632, which included free breakfast, free internet access, and airport transportation. In addition, since we booked using an American Express card, we received two $100 gift checks -- essentially the same as cash. That works out to about $108 a night. Had we stayed elsewhere, it would have probably cost us over $250 a night, and it might not have included all the amenities. Our room was beautiful -- it certainly did not feel like we were skimping. After dinner at the Sunshine Grill (on the resort property), we did some simple planning of the days ahead, and got a great night's sleep. 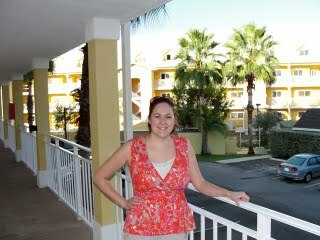 This picture was actually taken on Saturday morning, but it's from just outside our hotel room.